Hello, readers! How ya doing? This was a good week and a fantastic weekend. We've been working on organizing the house and getting the nursery ready for our May baby, since May is coming pretty soon! The husband finished painting the nursery on Saturday and it looks wonderful. On Sunday, we celebrated my dad's birthday and it was so nice to have the whole family together. We stopped to see the husband's family on our way home too, so it was a family-filled day. Reading-wise, I am still working on Catch-22. I'm trying to read 50 pages a day, so I should finish it this week. 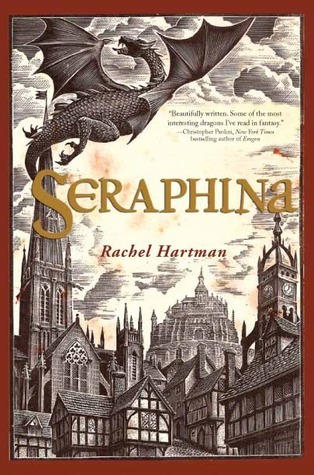 I started reading Seraphina in the meantime and powered through it in two days. I love that kind of read! I miss decorating for a baby :) How fun! May will be here before you know it. I hope you have a fantastic week Lindsey! The decorating part is great. I'm not looking forward to the waking up at 3 a.m. so much! It helps so much, doesn't it? I have to say that Catch 22 is not extremely long, but it's not one of those books that I just can't put down. I hope we'll get a review on Seraphina. I've read Green by Alice Hoffman - some of her books are wonderful and some are kind of bleh...and then there's the odd one here and there that just bug me. Yet the novels I love from her I REALLY love. Great stuff. I've also read Catch 22 a long time ago - when I was about 16, I think. 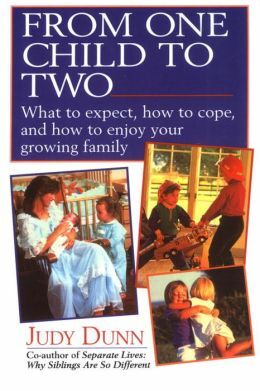 Good book, though it might be difficult content. I've only read Hoffman's The Dovekeepers but it was one of my favorite books from 2011. I wasn't sure which one of hers to pick up next, but the description on the back of The Red Garden sounded great. Catch-22 is decidedly interesting. I have about 150 pages left, so we will have to see how I feel about it as a whole. May is coming soon - I didn't know you were due that soon. How exciting! It is soon! It's very exciting and a little intimidating. There is still so much to do! I tried to read Catch-22 last year and didn't finish. I look forward to your review. 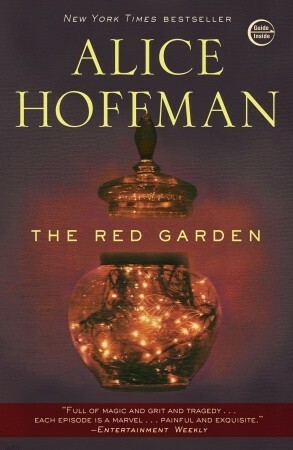 This is the second mention of Hoffman's Red Garden I've seen today, I have to check that out. I love Alice Hoffman. I read Blackbird House last year. I can completely understand that. I was saying to my husband last night that I get what Heller is doing but it's just not very readable! Hoffman has so many novels. I hadn't even heard of Blackbird House - I will have to look into it. Thanks! Awesome about Seraphina. I've heard so many great things about it. I should get my hands on it sometime. Seraphina was a great read. I hope you enjoy it!